With the Alaska Legislature unable to pass an appropriations bill and budget five months after it started work this year, a state government shutdown is looming on July 1. A shutdown would have wide impacts and could imperil Alaska's huge summer salmon fisheries, halt road construction and close the state ferry system, causing huge headaches for residents, businesses and tourists. After lawmakers failed to reach a deal on an operating budget and other deficit-reduction measures when their first special session expired Friday, Gov. Bill Walker immediately called another special session to begin Friday afternoon. How did we get here and how does it all end? Here's our best shot at an explanation. So, really: What the heck is going on in Juneau? Simultaneously, a lot and not very much. The Alaska Legislature has been in Juneau five full months, which includes a 90-day regular session that was extended 31 days, plus another 30 days in their first special session, which ended Friday. Their second special session began Friday. Lawmakers, prodded by Walker, have been trying to carry out two distinct tasks that are closely linked: passing an Alaska state government operating budget for the next fiscal year starting July 1, which contains appropriations for specific programs, and assembling a broader fiscal plan to pay for the budget this year and for years to come. The goal is to fix the structural problem with Alaska's finances caused by the crash in oil prices and long-term decline in production on the North Slope. Both have left the state with a $2.5 billion deficit — and unrestricted general fund revenue last year that covered less than half of expenses. OK, sounds simple enough. Why haven't those things happened yet? It's complicated. Let's split this discussion into two parts and first talk about the operating budget. The operating budget is pretty much the only thing that the Legislature absolutely has to do. If lawmakers don't pass it by July 1, all but the most essential state government services will shut down, causing huge economic havoc and disruptions to the lives of Alaskans and visitors. Both the House and Senate passed operating budget proposals by early April. They're substantially different — the Senate's budget includes steep cuts to education and the state university system that the House opposes — but they're not so far apart as to be unbridgeable. If the dispute over spending was the only problem, the Legislature would likely have finished up weeks ago. So, the fiscal plan is the real problem? Since the early days of the legislative session, the Republican-led Senate majority and the largely Democratic House majority coalition have been pushing starkly different plans for restructuring the state's finances. The Senate majority says it can fill most of the $2.5 billion deficit through one proposal: restructuring the $60 billion Permanent Fund and using most of its investment earnings to help pay for government services. Using about $1.8 billion in investment earnings could cut the deficit to something like half a billion dollars, which would stretch out the cash left in the state's primary savings account for another seven years. A rise in the price of oil could further improve state finances. What do House majority members have to say about the Senate's plan? They really, really don't like it. In fact, they won't even call it a plan, derisively calling it the "drain and pray" proposal. The House majority's main objection to the Senate plan is that it relies entirely on Permanent Fund earnings for new revenue — which has a side effect of paying Alaskans smaller dividends, which also come from the fund's earnings. Under the Senate's plan, Alaskans would get a $1,000 dividend this year, instead of more than $2,000 if the amount was set by the traditional formula. House majority members say that such a proposal is unfair because each Alaskan, rich or poor, would lose the same amount of money from their dividend. They also say that running continued deficits would likely force continued cuts to programs valued by their constituents like schools, health care and the state university system. The House majority is willing to accept smaller dividends and the use of Permanent Fund earnings for government services, and it actually proposed them — but only if accompanied by measures that ask more of wealthy people and oil companies. 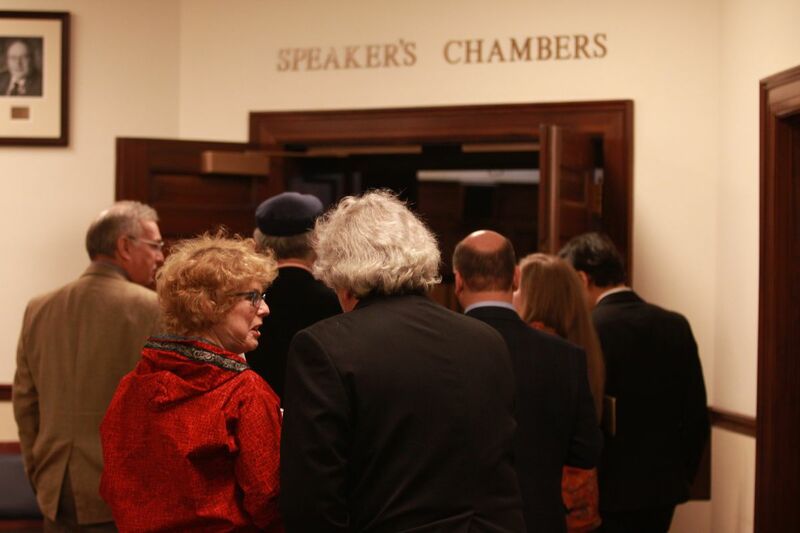 Earlier in the session, the House approved raising $700 million with an income tax that asks higher-earning Alaskans to pay a larger share of their earnings. They've also proposed legislation to increase taxes on oil companies. But the Senate majority has rejected both of those ideas. So, why doesn't the Legislature just pass the operating budget now and come back to the fiscal plans later? That way everyone could stop worrying about a government shutdown and go fishing. That's what the Senate majority has pushed for. But the House majority hasn't been willing to go along. The main reason: Passing either the House or Senate operating budget as currently structured — or, at least, as they were structured before a last-ditch House proposal Thursday to double the appropriation for dividends — would effectively adopt the Senate's fiscal plan. Legislation to restructure the Permanent Fund and dividends, which was the core of the Senate's fiscal plan, hasn't been approved. House majority members were pushing to reach a compromise with the Senate to allow for some type of a broad-based tax, as well as a tax increase on oil companies. But Senate leaders wanted to limit the discussion to the operating and capital budgets alone, and say they're willing to compromise on state spending cuts to get those bills done. Now Walker has made the decision for them by limiting the subject of the second special session to the operating budget alone — at least initially. The House's preferred tax measures will likely have to wait. Both the House and Senate opened the second special session Friday afternoon, though both are not planning to hold another floor session until Monday. The special session can run through mid-July under the Alaska Constitution, but the real deadline of June 30 comes in two weeks — that's when the state would run out of money to keep paying for government operations. Both House and Senate leaders have said they're keenly aware that a government shutdown would be disastrous, and in recent days business and organized labor leaders have lobbied them to avert one. But now that the Legislature's debate is limited solely to the operating budget, the gulf between the two chambers — at least on the appropriations bill — appears to have grown. In its last-ditch offer Thursday, the House majority signaled that the only way it would approve an operating budget without oil taxes or broad-based taxes is if it comes with the increased dividend payment of more than $2,000 a person, or about $1.5 billion. That's $800 million more than the Senate budgeted, and in a prepared statement, Senate President Pete Kelly, R-Fairbanks, asserted that the House move "plunders" the Permanent Fund's earnings account. The two chambers will also have to resolve their lingering differences over cuts to the state university system and to public schools, which the Senate supports and the House opposes. Why is our state government so gosh darn dysfunctional? It's true lawmakers have worked into June without a fully funded operating budget in two of the past three years. But Alaska does not have a monopoly on legislative gridlock. Lawmakers in Washington state are also facing a partial shutdown July 1 as they near the end of a second special session. And in Illinois, a budget impasse is threatening to shut down road work. That state has gone without a fully funded budget for two years, instead relying on stopgap measures.